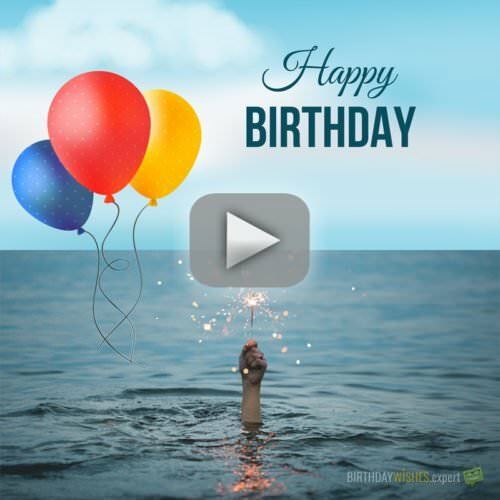 What does it mean to wish “Happy Birthday” by sending or posting a video? It’s the power of the moving images that is combined with the words of love and affection for the person that receives them. Watching a Happy Birthday video can turn out to be truly touching and, nowadays, it can even be considered a small but valuable gift. Share these videos with people you love by clicking on the share button on the top right corner. ( ) They will surely appreciate it. This amazing collection of great words to say on someone’s birthday is in fact a quote by the essayist, lecturer, and poet of the 19th century Ralph Waldo Emerson. Friends are a real life asset and friendship is often considered and praised as a kind of virtue, or a relationship that implies virtue. This is our Happy Birthday video for your best friend and you might say they deserve it. Best Birthday Wishes for your wife. Wishing Happy Birthday when in a marriage can be anything from simple to delicate. This video is a romantic -and often humorous- way to wish happy birthday to the woman you have chosen to live your life with. This optimistic and at the same time romantic video is ideal for a beautiful minute of happy birthday wishes to your love.